Every member of our dental team will always do their best to ensure you leave smiling. 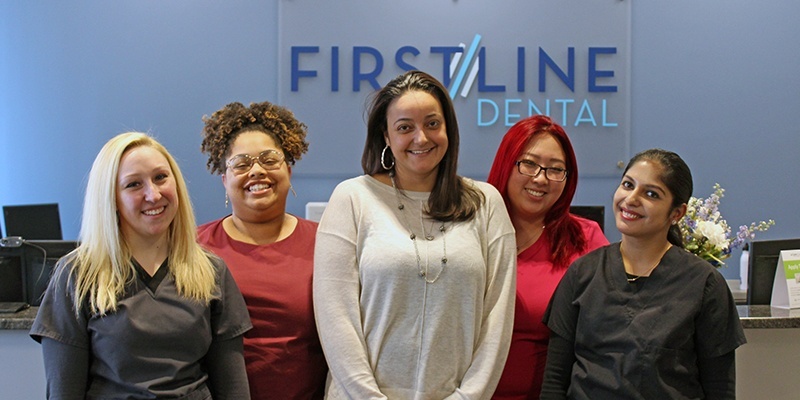 Every dental assistant, hygienist, and team member at First Line Dental is experienced, knowledgeable, and committed to lifelong learning. They’re also talented at helping patients feel at ease throughout their appointments. They can’t wait to meet you!